OK people, let's start a campaign to get Lego to officially release this bricktastic Lego The Empire Strikes Back chess set, newly created by Brandon Griffith. 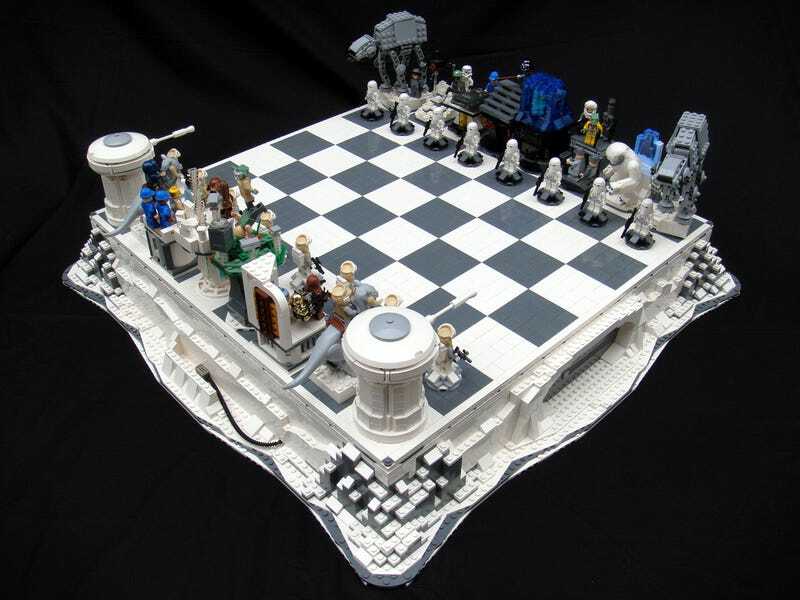 And there's even more: His Lego A New Hope chess set. Science-fiction, double feature. I want them both, my sweet transvestites from Transylvania.